A Minute Before. . .
CODE 11.59. 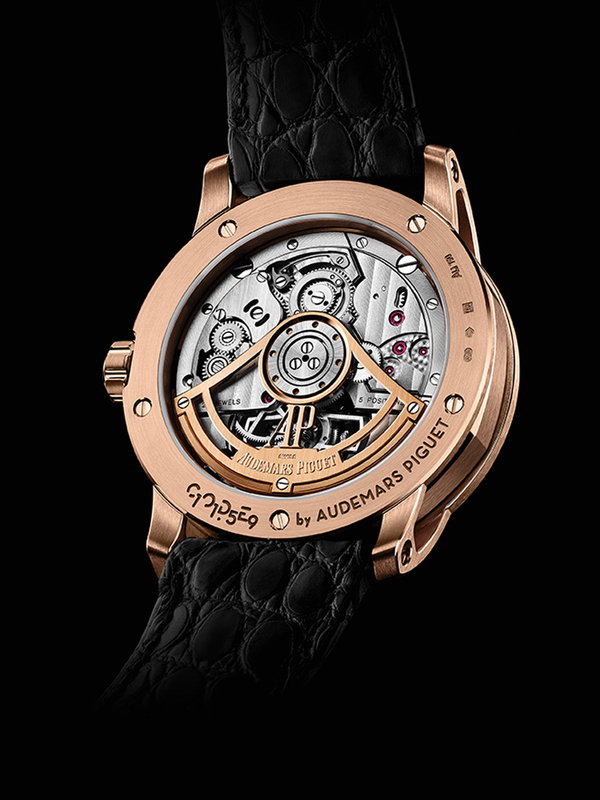 Audemars Piguet explains the “Code” in the name of its new offering stands for “Challenge, Own, Dare and Evolve.” The watchmaker says the new collection — well, it’s very much obvious — is its way of taking the aesthetics of the classic round watch up to date. 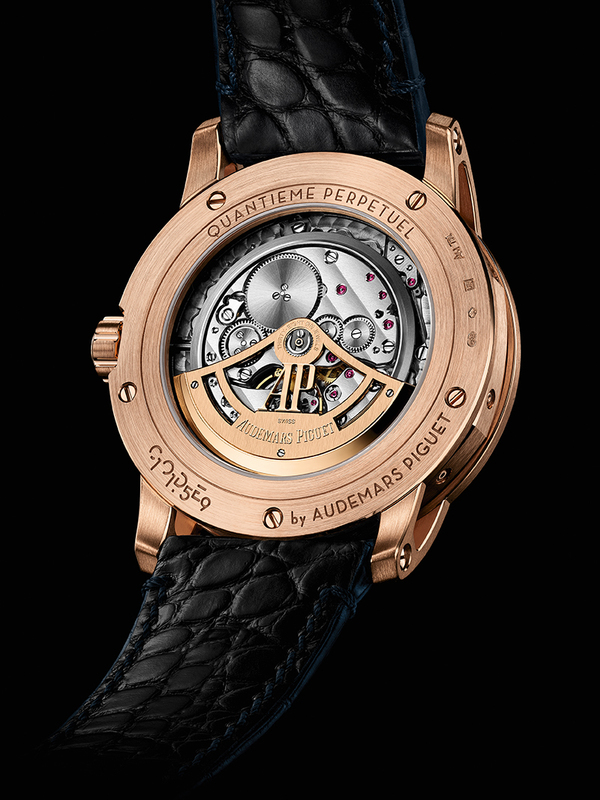 By doing so, Audemars Piguet says it is merely carrying on what it has always done, and that is to persistently embrace unconventional forms and design languages. “At Audemars Piguet, we constantly challenge ourselves to push the limits of craftsmanship. . . . Faithful to our legacy, we continue to evolve by preserving and rewriting traditions. 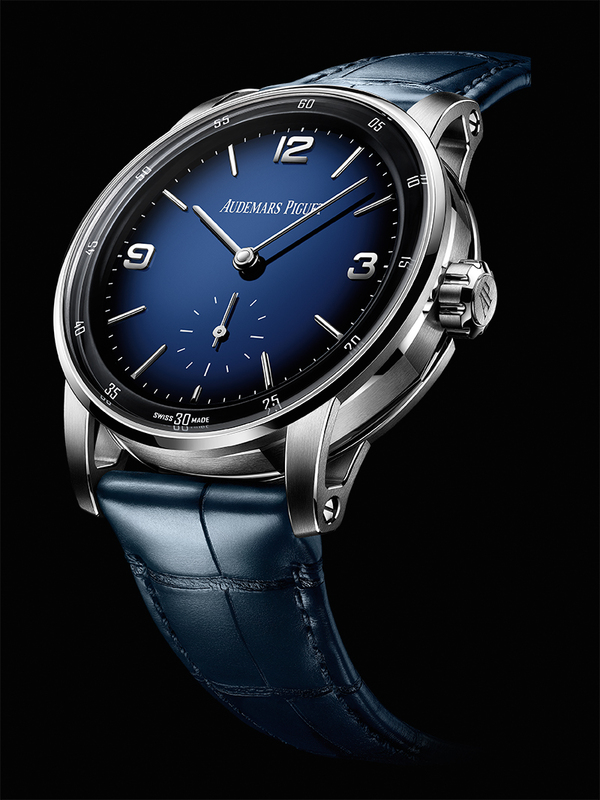 11.59 is ahead of the game, constantly on the brink of tomorrow,” says Jasmine Audemars, chairperson of Audemars Piguet’s board of directors, regarding the new collection unveiled at the 2019 Salon de la Haute Horlogerie in Geneva. The Code 11.59 collection is made up of 13 references, including five complications and six of Audemars Piguet’s latest calibres. Not to put too fine a point on it, the Code 11.59 is one of the most important launches for the brand. This significance is captured in the second part of the collection’s name — it refers to the last minute before midnight. And midnight, of course, is the point where a new day begins. On a properly made date (or day/date) display, as any watch geek knows, midnight is when the indications marking out the new day snap into place. 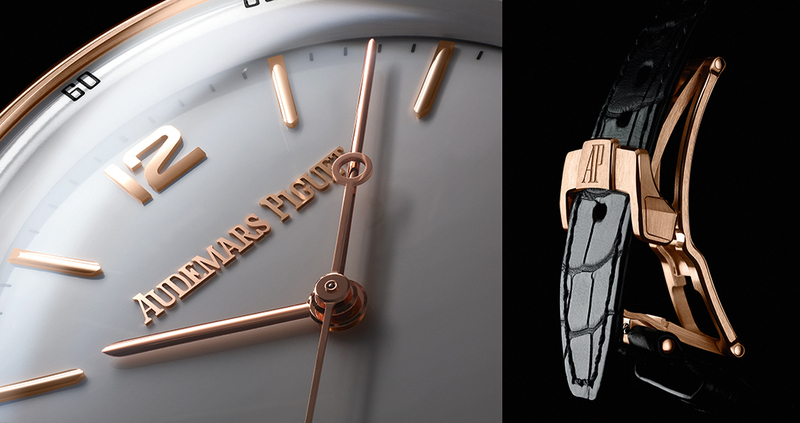 The Code 11.59 heralds this new day for Audemars Piguet. Among the collection’s six calibres are three new ones: a column wheel chronograph with a flyback function, a self-winding flying tourbillon, and a simple self-winding one with a date wheel. All get lavished with a variety of finishing techniques, counting in “traits tires,” Cotes de G̀eneve, circular graining, circular satin, diamond-polished angles and gold-toned engravings. The self-winding cal. 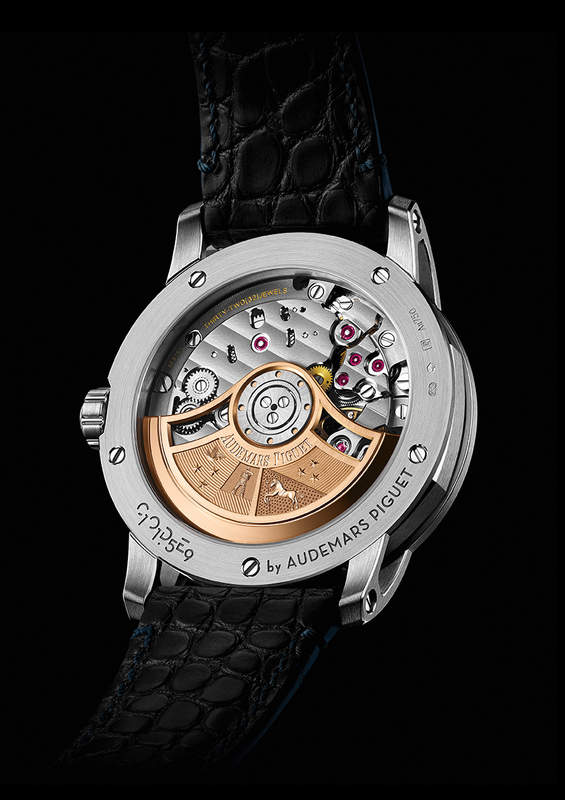 4302 boasts a 22-carat gold rotor, 32 jewels and a 70-hour power reserve. It spins at 28,800vph. Four pieces in Code 11.59 use this movement. Also seeing duty in four Code 11.59 watches is the new self-winding cal. 4401, whose column wheel chronograph setup has a flyback function that enables the counter to be re-started without it having to be first stopped and reset. 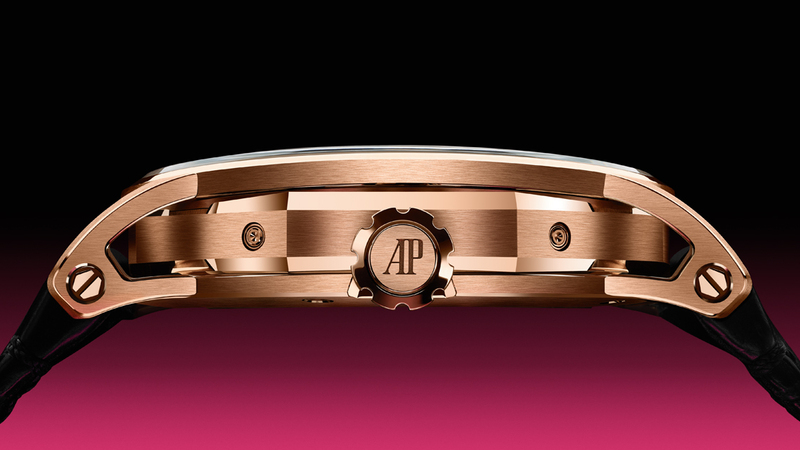 It has an openworked 22-carat pink gold rotor, 40 jewels and 70 hours’ worth of power reserve. Spinning at 28,800vph, this calibre is decorated with “traits tires,” diamond-polished angles, Cotes de Geneve, circular graining, chamfering and gold-toned engraving. The Code 11.59 Perpetual Calendar is ticked by the self-winding cal. 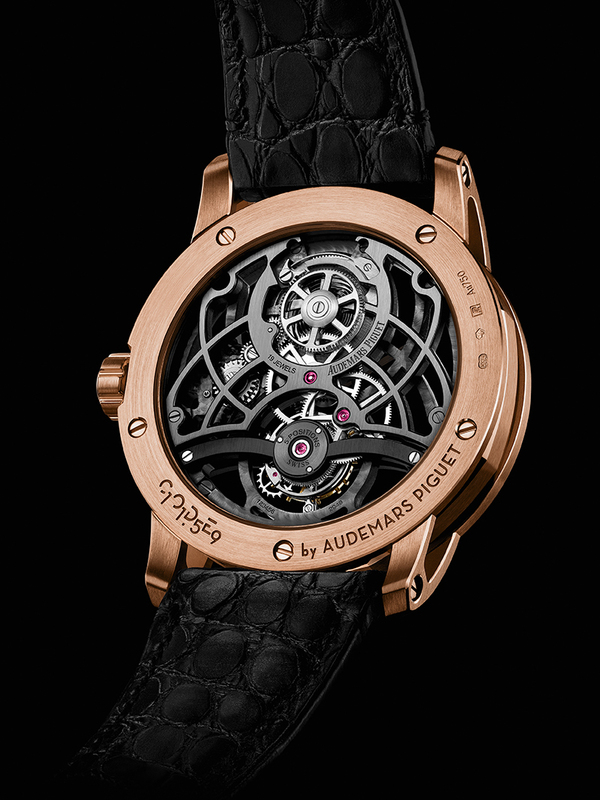 5134, which also gets an openworked 22-carat pink gold weight, 38 jewels and a 40-hour power reserve. Interestingly, it spins at an uncommon 19,800vph rate. 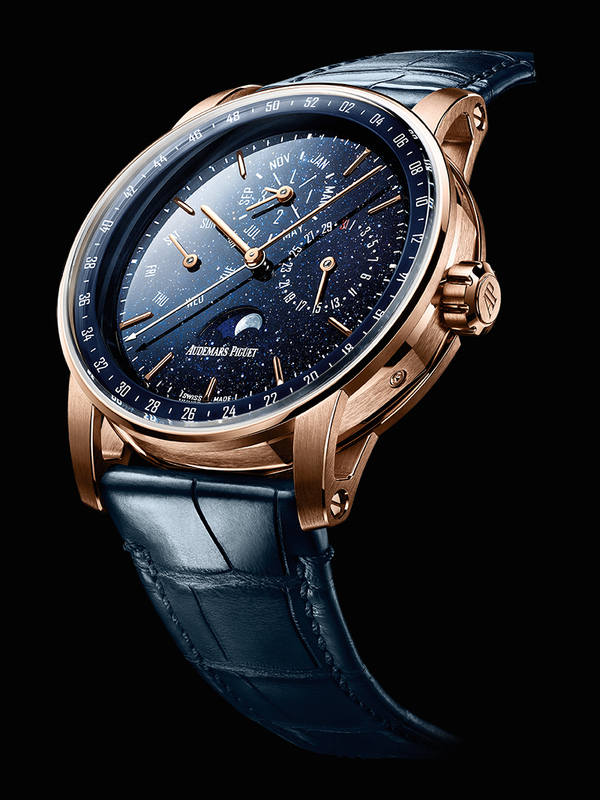 Along with a moonphase display, its perpetual calendar function has readouts for the day, week and the month. A gold dial finished in Grand Feu enamel houses the self-winding cal. 2950 of the Code 11.59 Flying Tourbillon — which comes in two variants defined by their case material (18-carat white gold or pink gold). This movement combines a centrally mounted, openworked pink gold rotor with a flying tourbillon — a first for an Audemars Piguet piece. With 27 jewels, 65 hours of power reserve and a 21,600vph spin rate, the cal. 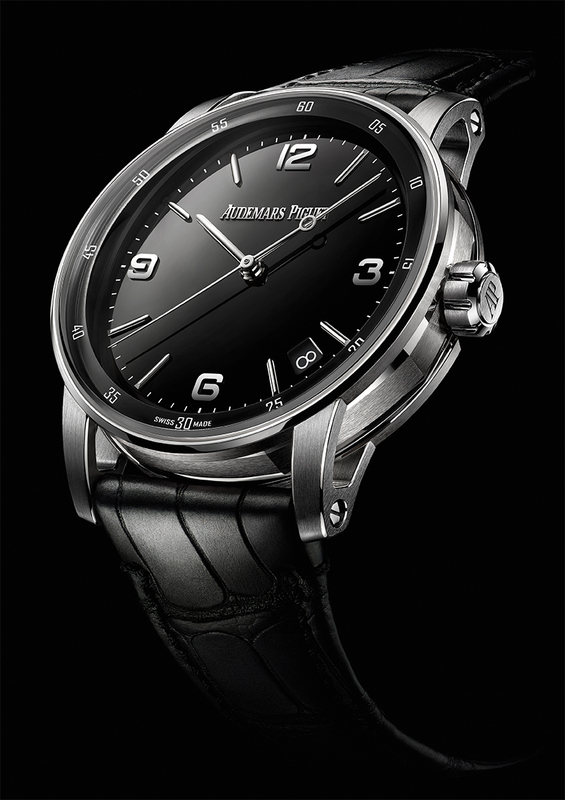 2950 is adorned with Cotes de Geneve, “snailing” and hand-polished bevels on the movement’s caseback side. Circular graining and circular satin mark its dial-side surfaces. 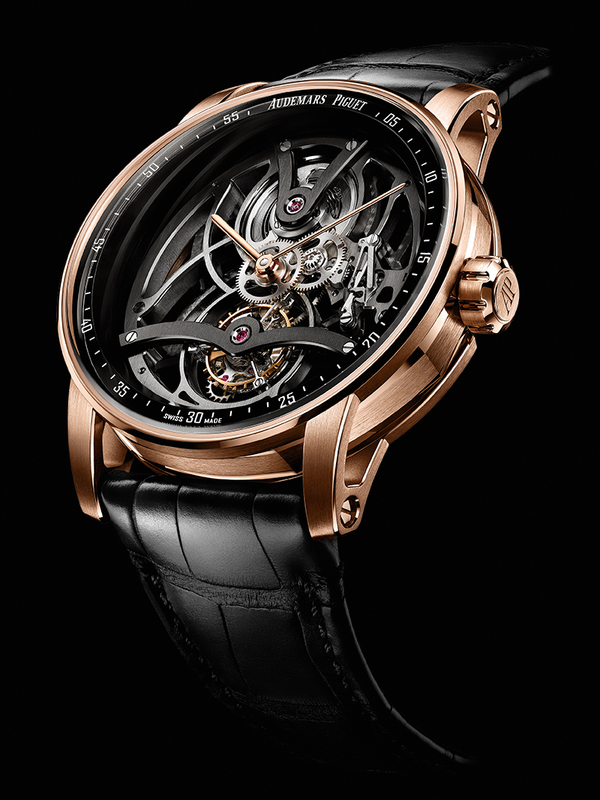 For the Code 11.59 Tourbillon Openworked, the movement of choice is the hand-wound cal. 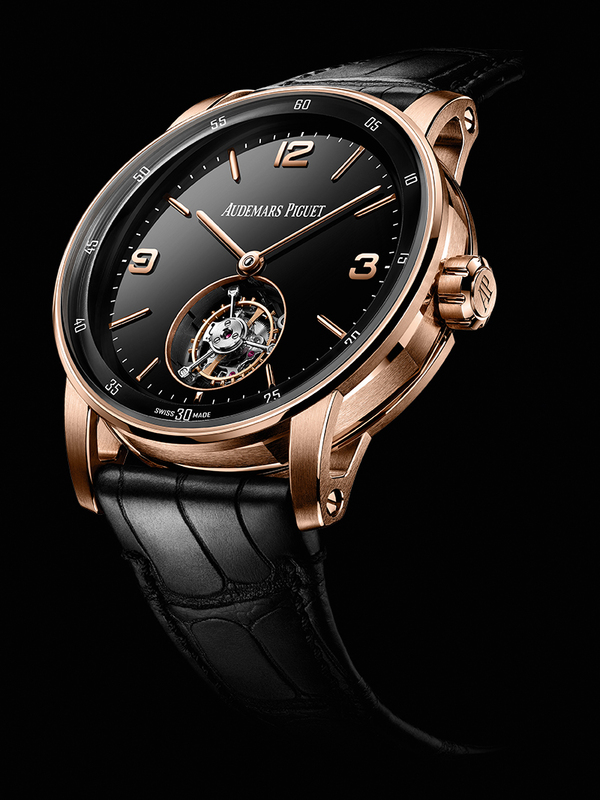 2948, which has 19 jewels, an 80-hour power reserve and a 21,600vph spin rate. 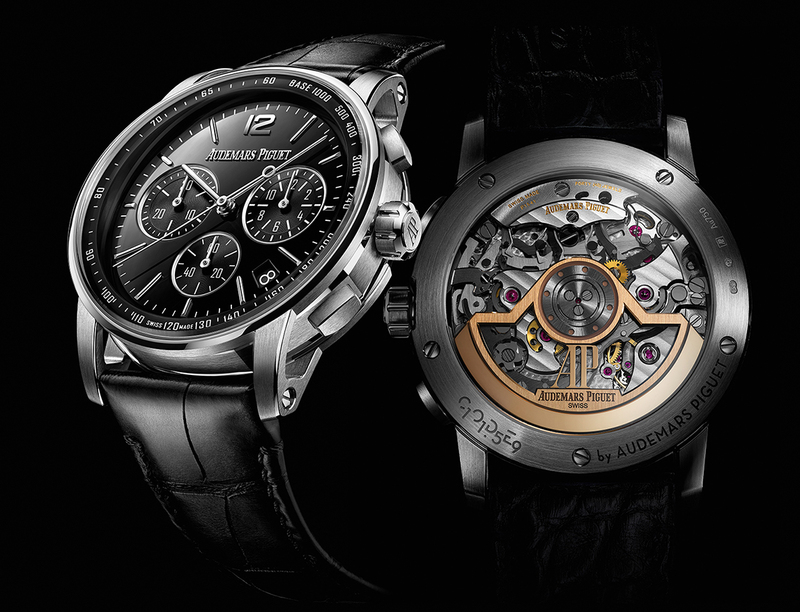 Its flourishes include the dark openworked rhodium German silver mainplate and PVD bridges exclusively designed for the collection. A gold-toned balance wheel adds a touch of color. 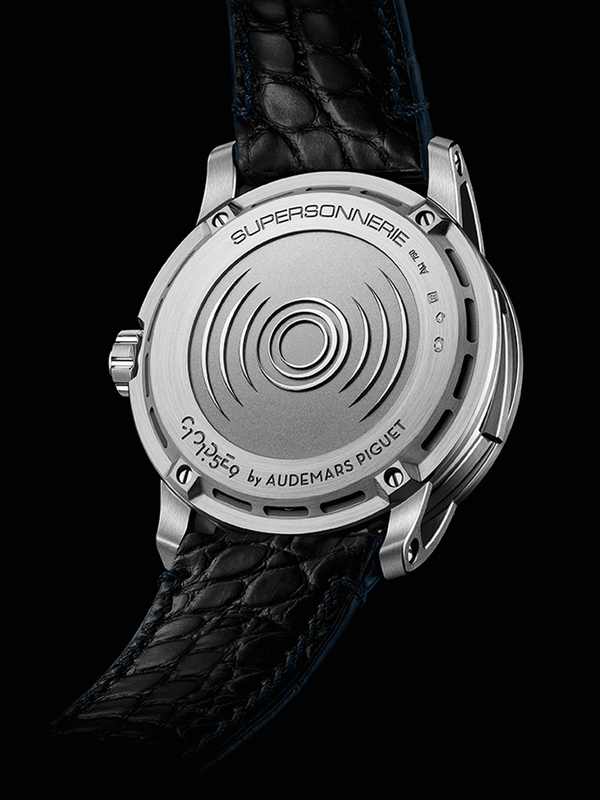 The Code 11.59 Minute Repeater Supersonnerie makes Audemars Piguet’s minute repeater supersonnerie technology, launched in 2016, even more sonorous via gongs attached not to the mainplate, but to a new device acting as a soundboard. Its striking regulator was also redesigned to absorb shocks and eliminate noise, thanks to a more flexible anchor system. Fitted to the cal. 2953, which has 32 jewels, a 72-hour power reserve and a 21,600vph spin rate, these sonnerie technologies are complemented by decorations like Cotes de Geneve, circular graining and yellow gold-toned engravings on the caseback side, as well as satin-finished “traits tires,” hand-polished chamfers, sandblasted angles, and circular graining on the dial side. Yes, a new day for Audemars Piguet begins now.